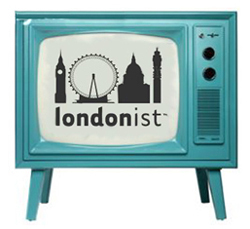 Bringing you the most Londony shows on TV and radio over the coming week. Some good stuff this week, particularly on radio. Check out Steve Punt's insights into Nazi Balham on Saturday and documentaries about Big Ben and Docklands on Wednesday and Sunday, respectively. Ashes to Ashes (BBC2, 21.00-22.00) A Docklands setting for the penultimate episode of the era-spanning cop show. Medic One: Life and Death in the Capital (BBC1, 22.35-23.25) After our visit to their helipad, we're heartily looking forward to watching this documentary about the incredible medics and pilots who fly emergency missions through London's skies four or five times a day. Mary, Queen of Charity Shops (BBC2, 21.00-22.00) Cringingly titled show where Mary Portas transforms an Orpington branch of Save the Children into a High Street powerhouse. I'm Running Sainsbury's (C4, 21.00-22.00) Going head-to-head with BBC2's attempts to turn a humble shop into a high street leader, Channel 4 chronicle how a supermarket giant benefits by temporarily promoting floor staff to run stores (in tonight's case, a Watford Store Trainer). It's the world turned upside-down. Masterpieces of the British Museum (BBC4, 19.30-20.00) The story behind the Assyrian Lion Hunt reliefs. Bong! The Condensed History of Big Ben (Radio 4, 20.45-21.00) 150 years of almost accurate time-keeping condensed into 15 minutes. Punt PI (Radio 4, 10.30-11.00) Steve Punt looks into long-standing rumours surrounding Du Cane Court in Balham, which some claim would have served as Hitler's Command Centre had he successfully invaded. Britain In Their Sites (Radio 4, 13.30-14.00) Documentary about the Canary Wharf estate, its creation and evolving skyline.